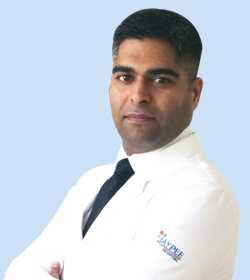 Dr. Aggarwal completed MDS (Oral & Maxillofacial Surgery) from Ghaziabad. Dr. Aggarwal has special interests in full mouth rehabilitation with dental implants, sinus augmentation and orthognathic surgery. He also has three research papers published in international journals to his credit.